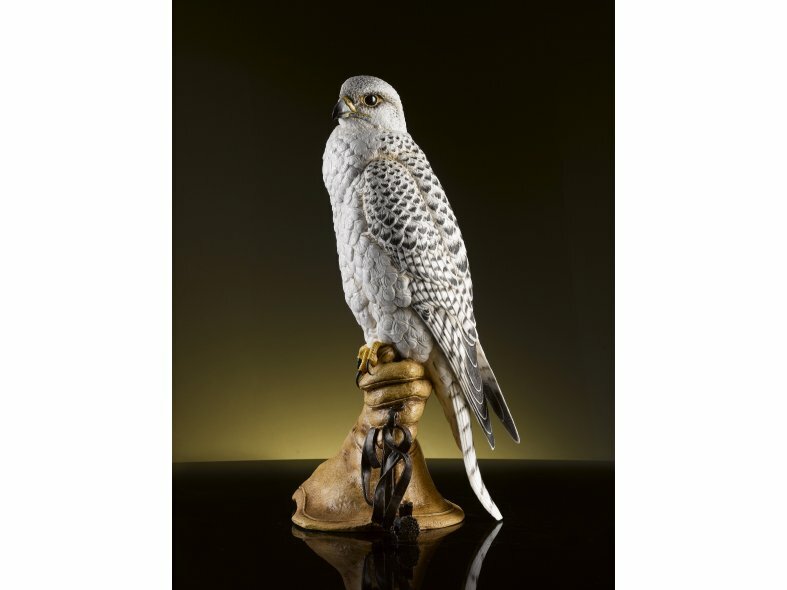 Chamberlain & Co’s collection of prestige animal sculptures include a variety of subjects, from majestic birds of prey to African wildlife and champion race horses. 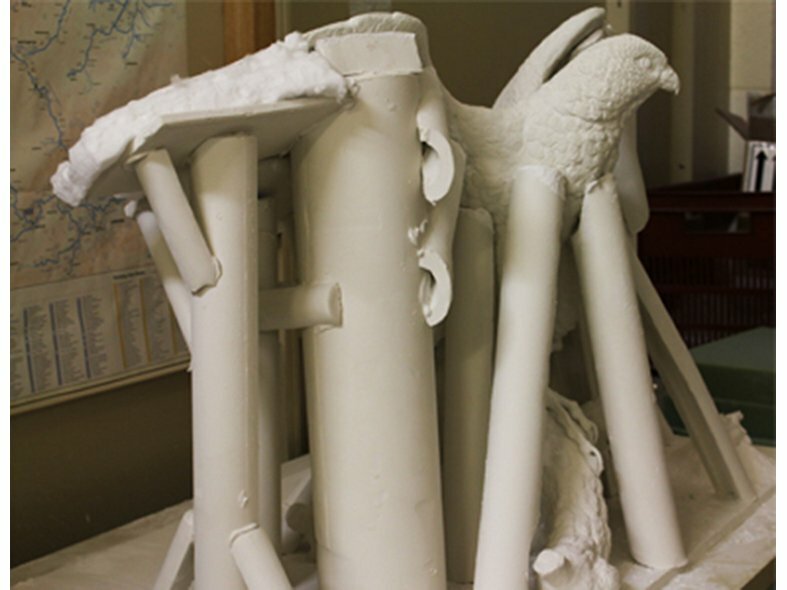 They are among the finest examples of ceramic sculptural art available anywhere in the world. It takes exceptional skill and craftsmanship to create these large studies in the delicate and demanding medium of fine bone china. 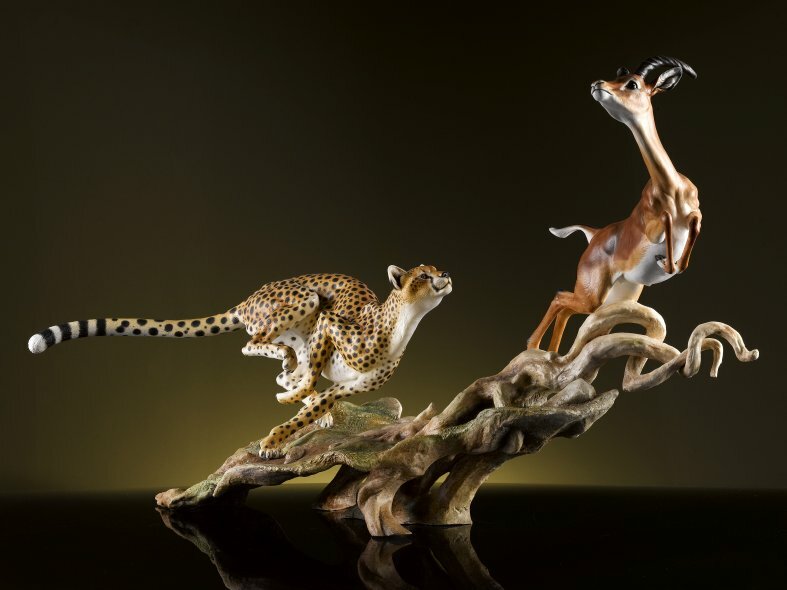 Only the most experienced craftspeople are able to retain the level of detail and modelling precision that enables a bird of prey to spread its wings or a big cat to race across the Serengeti Plain with an appearance so lifelike you will believe they move. Twisting and turning, the impala leaps at speed over the dry branches of a stunted tree on the Serengeti Plain. 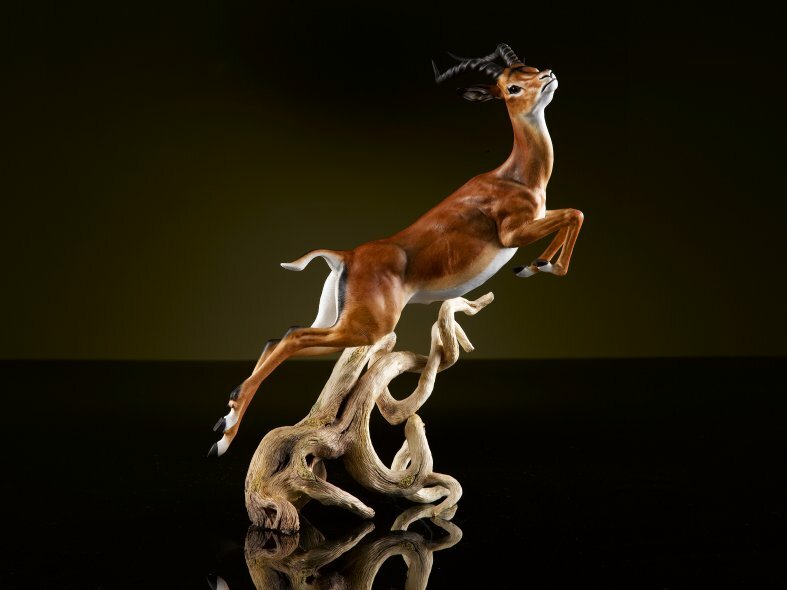 Sculptor Nick Bibby captured the delicacy and grace of the impala in his original sculpture, then cast in fine bone china and decorated entirely by hand. Such is the skill of its creation that the impala appears almost airborne. The light, satin glaze highlights every detail of this wonderfully athletic creature's colour and the texture of its coat. The power and athleticism of the thoroughbred race horse are beautifully captured in this magnificent equestrian study. The champion horse is depicted with his jockey as they drive towards the finishing line. 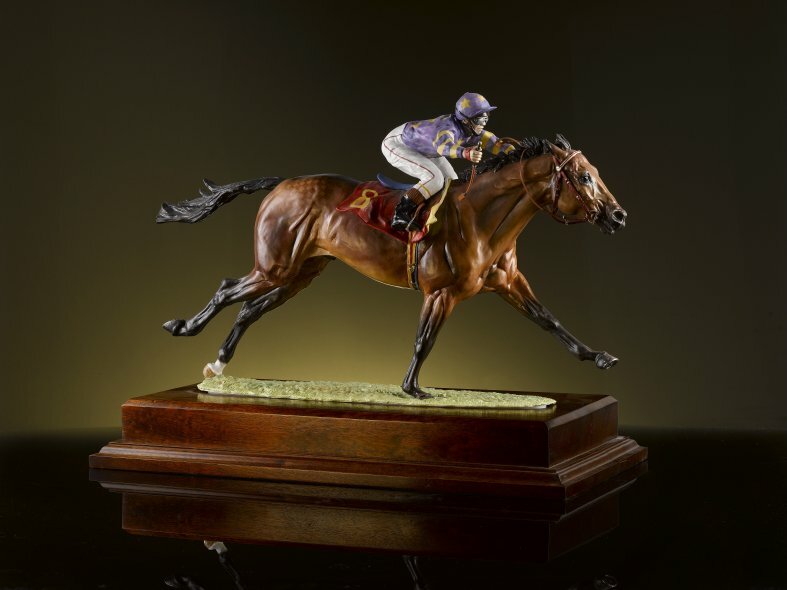 The sculpture is both a technical tour de force, with only two of the horse's legs touching the base, and a wonderful celebration of the sport of kings, and comes mounted on a mahogany plinth.